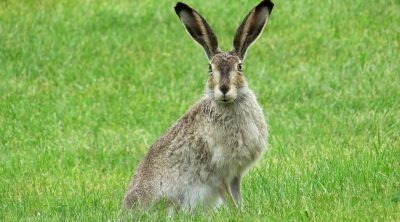 Rabbit bedding is surprisingly complicated and important in equal measure, so you should stock your rabbit’s hutch with the best rabbit bedding you can find. Many dedicated bunny owners choose Fresh World Bedding from Vitakraft, which while certainly impressive, is a little on the pricey side. Those hoping to keep costs down should instead consider Living World Fresh n’ Comfy. 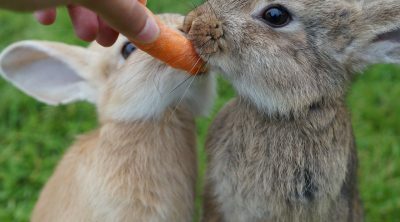 We’re going to be discussing both offerings, as well as some additional options, in this search for the best rabbit bedding. 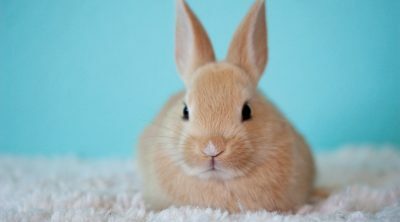 We suggest anybody who is not already confident in their knowledge of rabbit bedding read and give careful thought to the below buyer’s guide before trying to determine which of the offerings detailed in this article is the best rabbit bedding for them. Many first-time rabbit owners find themselves confused when it comes to bedding and litter. Rabbit litter, just like kitty litter, is what your pet uses when they need to eliminate. Bedding, on the other hand, provides your rabbit with a soft and cozy spot to sleep. Of course, some rabbits may have a harder time grasping the difference between bedding and litter than their human counterparts. As any experienced rabbit owner will tell you, a rabbit’s hutch can get pretty funky. 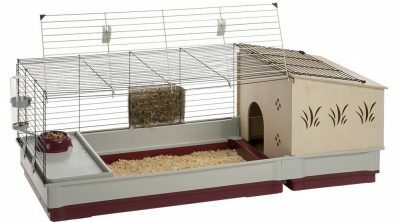 For this reason, you should try to find bedding that boasts odor absorption capabilities, as you will need all the help you can get in minimizing the smells which emit from your rabbit’s hutch. The ability to absorb liquids is also important, as your rabbit will likely spill water and the contents of its bladder in the bedding area on more than one occasion. Many inexpensive rabbit beddings produce high amounts of dust, which, of course, may cause respiratory issues in your rabbit. A high dust content will also make cleaning your rabbit’s hutch a great deal more challenging. For your sake and the sake of your rabbit, we suggest spending a little extra to get bedding that is more or less free of dust. So Phresh Paper Pellet Small Animal Litter, 20 lbs. If you’re concerned about the environment, you’re going to want to pay careful attention to this offering from So Phresh. So Phresh Fast-Absorbing Paper Pellets are made from 100% recycled paper and are biodegradable, so you won’t have to worry about damaging the environment for your rabbit to have a clean hutch. Despite their paper composition, these pellets will not come apart when wet, which makes them easier to clean up when the time comes to remove them from your rabbit’s hutch. 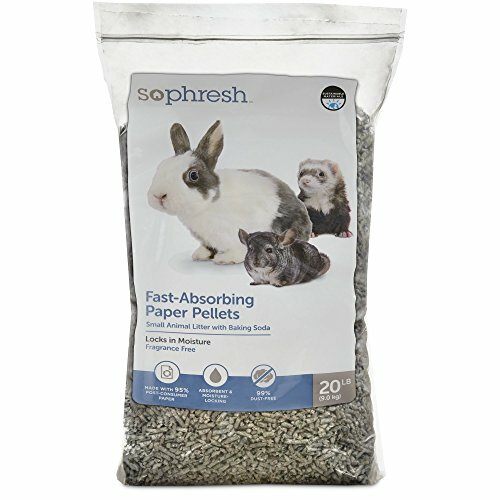 Trapping odor and moisture, So Phresh Fast-Absorbing Paper Pellets will seriously reduce the amount of time you must dedicate to maintenance, leaving you with more time to give your rabbit cuddles. With a 20-pound bag selling for in or around $20 from most sources, So Phresh Fast-Absorbing Paper Pellets are among the most expensive options for rabbit bedding you’re going to find and may be a complete impossibility for those on a budget. 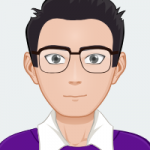 To make matters worse, these pellets don’t last nearly as long as some alternative models, so you’re going to be dropping a lot more cash than you need to far more often than you need to if you choose this product. It should also be pointed out that So Phresh’s quality control is often lacking. Some who have purchased the brand’s Fast-Absorbing Paper Pellets have reported finding rips and tears in their bags, while one particularly unlucky customer claims to have found shards of plastic mixed in with the pellets. If you don’t mind spending $20 on your chosen bedding but weren’t exactly enthralled by So Phresh’s Fast-Absorbing Paper Pellets, perhaps you’ll enjoy this offering from Vitakraft. Vitakraft Fresh World Bedding is manufactured in the US using 100% recycled paper that is unbleached and non-toxic. It is 99.5% dust free, meaning it is easy to clean and maintain, and is similarly devoid of baking soda. 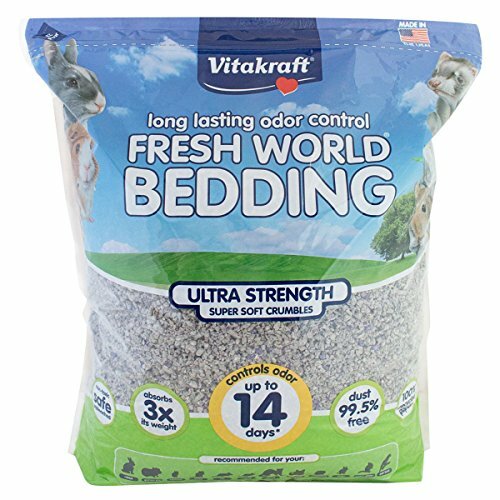 One of the coolest things about Vitakraft Fresh World Bedding is the ability of the pellets to hold up to three times their weight in moisture, which means you won’t have to clean your rabbit’s hutch as often as you would with some rival rabbit bedding. Sticking to that theme, Vitakraft Fresh World Bedding boasts the impressive ability to keep unpleasant odors at bay for up to 14 days. However, this number will obviously fall if you keep more than one rabbit in your hutch. Largely owing to its all-natural composition and impressive ability to store moisture and control odor, Vitakraft Fresh World Bedding is a little on the pricey side. This is made all the more annoying by the fact that this bedding is not available in multiple bag sizes, so you don’t have the option of choosing a smaller bag and paying less. Some rabbit owners who have purchased Vitakraft Fresh World Bedding have complained about the pellets clinging to their pets, so you may have to give your rabbit a wipe down every so often if you choose this product. Small Pet Select Premium Small Animal Bedding doesn’t look all that impressive at first glance. However, those who purchase it will soon find that there is more than meets the eye to this offering. Despite being pretty small in its original form, it boasts the ability to expand to three times its initial size, which allows it to absorb and store large amounts of moisture. Manufactured in the United States, this is a natural bedding that is devoid of any potentially harmful substances and is even 99.9% dust free. The paper from which Small Pet Select manufactures its Premium Small Animal Bedding is unbleached and has never been printed on, so you won’t have to worry about your rabbit ingesting ink. 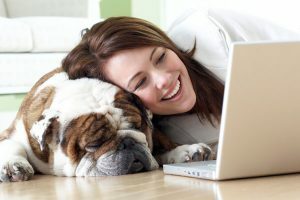 As seems to be a recurring theme with the bedding featured in this article, Small Pet Select Premium Small Animal Bedding is pretty expensive. With limited sizes available, the smallest strain of Premium Small Animal Bedding – 56 liters – is going to cost you upwards of $20. This bedding also falls down when it comes to odor control. Although it boasts remarkable water absorption, it does not have the same ability to absorb odor, so if you’re main aim is to remedy a stinky hutch, you should take your search for rabbit bedding elsewhere. Now we’re going to start looking at some rabbit bedding that’s a little more affordable. First up is Kaytee’s Soft Granule Blend. There are multiple sizes of Kaytee Soft Granule Blend available, with a 10-liter bag selling for less than $10 from most sources. This bedding is manufactured in the United States and is 99.9% dust free, minimizing the risk of respiratory issues and seriously simplifying the cleaning process. The pellets that make up Kaytee Soft Granule Blend are capable of holding up to three times their weight in moisture, so spills won’t be an issue. Much like the offering from Small Pet Select which we just finished looking at, Kaytee Soft Granule Blend doesn’t offer a whole lot when it comes to odor control. If you’re trying to combat the smells of a particularly messy rabbit, you’re going to have to pass over this model, which you probably don’t want to hear if you’re on a budget. 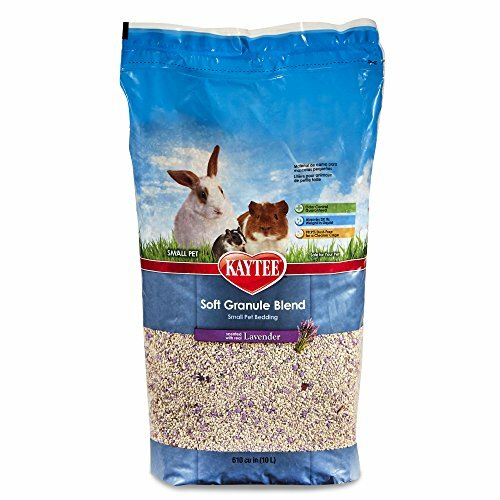 It is also important to point out that Kaytee Soft Granule Blend has a tendency to stick to fur, so you should keep an eye on your rabbit to ensure pellets do not collect on their coat. Okay, this is really where you start to see some savings. 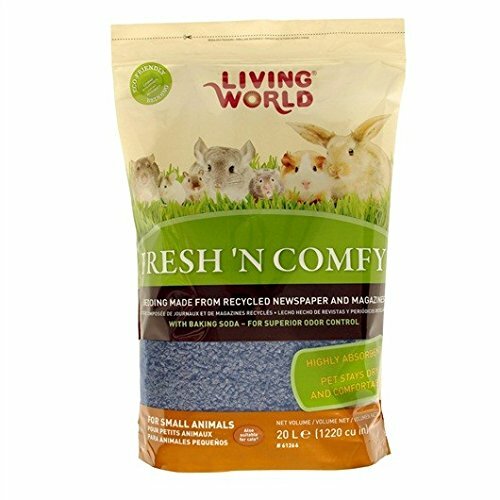 A 20-liter bag of Living World’s Fresh ‘n Comfy bedding can be purchased for less than $15 from most sources, which has made it popular among owners on a budget. Despite its low price, Living World Fresh ‘n Comfy performs to a high standard and boasts superior odor control, which it attains through the inclusion of baking soda. 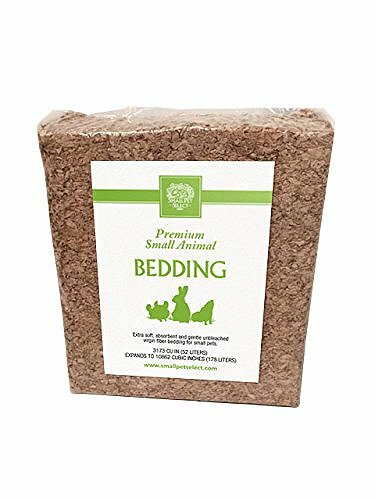 Living World manufactures this bedding using only recycled newspapers and magazines and does not rely on any phenols or scented oils, which often cause irritation to rabbits and other small animals. It is similarly free of dust. This bedding can be relied upon to absorb water, which allows it to be used for longer and leaves you with little work when the time comes to clean out your rabbit’s hutch. One of the major flaws of Fresh ‘n Comfy is Living World’s use of baking soda in its manufacturing. 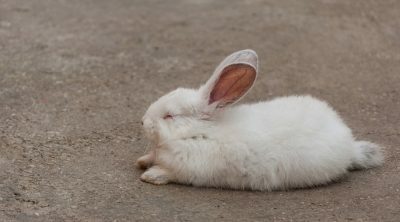 Baking soda can often cause stomach issues in rabbits, with large amounts often proving fatal. Of course, Living World Fresh ‘n Comfy contains only a small amount of baking soda and is extremely unlikely to cause any harm to your rabbit, but its presence is nonetheless a little unnerving. 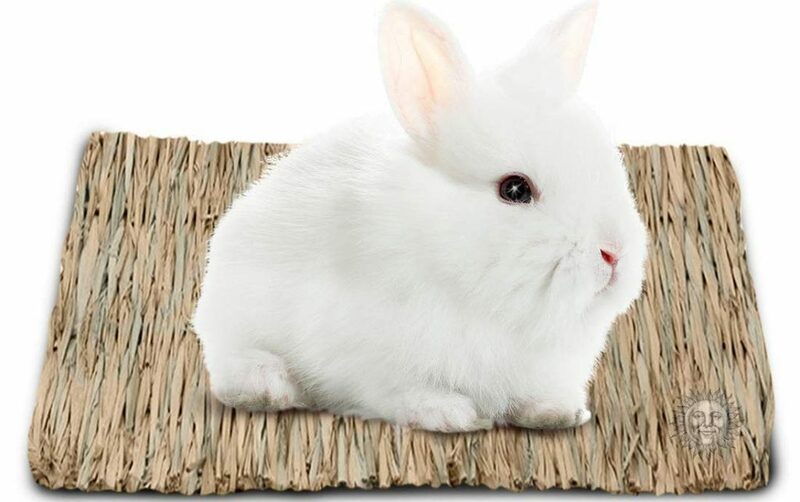 Bringing this look at the best rabbit bedding options to a close is this offering from SunGrow, which may just be the most unique form of rabbit bedding on the market. The SunGrow Natural Seagrass Mat is hand-woven and manufactured using only 100% natural components. Despite this, it boasts a low price tag and can be obtained from most sellers for only a little over $5. As opposed to absorbing water, the SunGrow Natural Seagrass Mat resists it, meaning spills and urine can simply be wiped away. The mat does, however, boast the ability to absorb unpleasant odors and seems to do so with a level of effectiveness and efficiency one would expect from a far more expensive alternative. What really makes the SunGrow Natural Seagrass Mat stand out is its edibility. Free from toxins and allergens, this bedding is safe to be – and likely will be – eaten by your rabbit, so you won’t even have to worry about disposing of it when the time comes to clean your rabbit’s hutch. While the fact that the SunGrow Natural Seagrass Mat resists water rather than absorbing it is pretty cool, it is a novelty which quickly wears off. 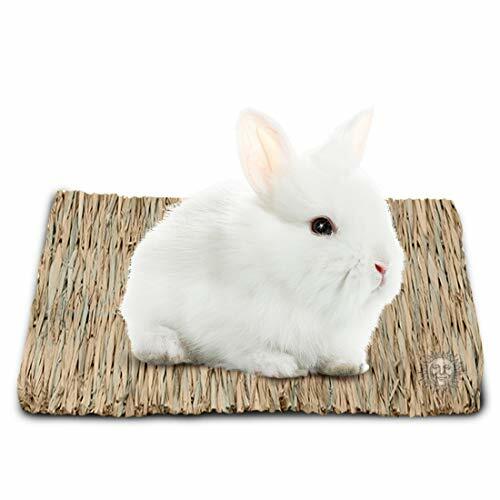 Choose this mat for its water resistance and you will likely find yourself cursing yourself as you wipe your rabbit’s urine from its surface for the fourth time that day. The bedding you choose can have a pretty major impact on your rabbit’s quality of life, which is why we urge you to choose yours from this list of the best rabbit bedding on the market. Each of the beddings included on this article is of an extremely high quality, but we are particularly fond of the Vitakraft Fresh World Bedding given its 100% natural composition and ability to absorb both moisture and odor effectively. For those who would like to avoid draining their bank account, Living World Fresh ‘n Comfy serves as a more than worthy alternative to Vitakraft’s offering and boasts its own eco-friendly composition, as well as superior odor control and minimal dust content.